Whether you love it or hate it, driving everywhere is simply a way of life for many Americans. In fact, the average person in the US spends a whopping 290 hours per year behind the wheel, from rush hour traffic jams to trips to the supermarket. That amounts to roughly two full weeks that everyone, on average, spends sitting in their car, or approximately seven full weeks of vacation for the average full-time worker. However, not all roads are created equal, and traffic can be much beastlier in certain parts of the country than others. But just where exactly are the worst cities to be stuck schlepping to and fro in your car these days? To find out, the folks at WalletHub did a massive survey of raw data and determined exactly which US cities are the best and worst places for drivers in 2018. To figure out how driving stacks up across the country, the data whizzes at WalletHub considered the 100 largest US cities, then measured them across four key dimensions: cost of ownership & maintenance, traffic & infrastructure, safety, and access to vehicles and maintenance. Specifically, they compared 29 relevant metrics using stats from a number of government agencies looking at things like the cost of a new car and average gas prices, annual hours spent in traffic congestion per commuter, traffic fatality rates, and car dealerships per capita. 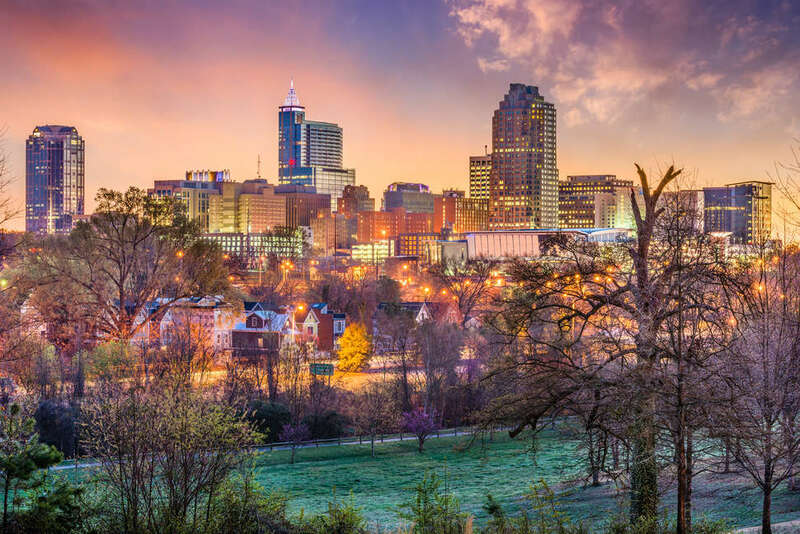 Topping the charts as the best place to be a driver in 2018 is Raleigh, North Carolina, followed by Corpus Christi, Texas, and Orlando, Florida. At the bottom of the list is Detroit, which is closely followed by San Francisco, with Oakland ranking as third worst city to drive. If you’re curious, you can scope out the full list, but here’s how things rank among the 15 best and worst lists. Besides the ranking, the research also revealed some interesting details about how particular cities compare within certain metrics. For instance, Madison, Wisconsin has the lowest accident likelihood compared to the national average, while Boston has the highest. Also, Oklahoma City has the lowest average gas prices, while San Francisco and a whole slew of other cities in California have the highest. And for those who have to pay for parking, Riverside, California has the cheapest rates, while Buffalo, New York has the steepest. Generally speaking, if a driving-friendly locale is a priority for you, you may want to consider making a move down south considering nearly all 50 of the best driving cities are below the Mason Dixon, and particularly in Texas. Then again, you may not need to worry about road traffic and car hassles for much longer, since we’ll all apparently be shuttling around in flying Ubers before long.